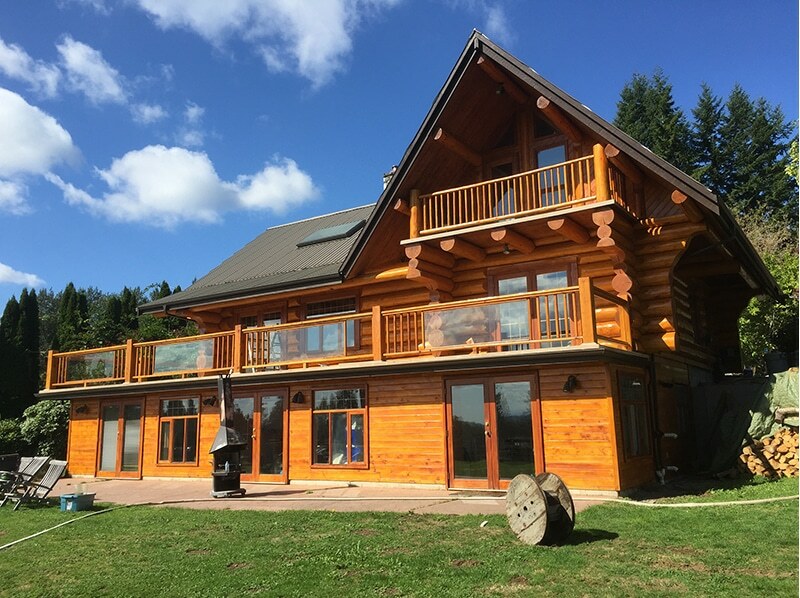 If you own a log home, you know you have to perform annual maintenance to it, in fact, you probably came to terms with this matter when you first decided to purchase or build your log home. Log home maintenance is really not much different than taking care of anything else that you own that has value, only the methods may be a bit different than maintaining a traditional home. - Trees are a highly renewable source, and make an ideal material with which to build a beautiful home. Many builders today are purchasing logs from forests that are certified as sustainable. - Log homes provide a long lasting living space. Many log homes have been standing for many hundreds of years. With proper log home maintenance, your Fraser Valley log home will be around for many generations to enjoy. - A log and timber home can withstand almost anything nature can throw at it. 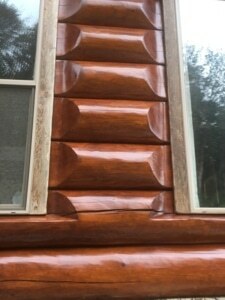 - Log homes just fit the lay of the land much better than their counterparts. Seamlessly integrating into the landscape makes log homes look like they belong there, instead of looking like an intrusion to the property. - The fast framing of a log home is one of its greatest benefits. A traditionally constructed home is exposed to the elements at every step of the construction phase, bringing a high likelihood that mold and mildew will set in, and remain undetected for months or years. - The thermal mass of wood is a comforting benefit, allowing your log home to stay comfortable in all seasons. Your log walls will collect heat, store it, and radiate it back to the rooms in your home, giving the environment a cozy feeling unlike the of a traditional home. - With proper sealing, today’s log homes are 15-20% more energy efficient than a conventional home; some log homes even meet the DOE’s Energy Star standards. - Log home owners understand the living rustic by no means equities to living rough. Many of today’s log homes integrate communication technologies into their construction and keep owners connected with all of the technological comforts of ‘home’. - A traditional home is no match for the superior exposure that a log home allows when it comes to inspecting for mold, mildew, insect damage or other problems of this nature. A quick visual inspection is all that is necessary for a homeowner to employ regular log home maintenance. Fraser Valley is indeed fortunate to have Superior Log Restorations within its reach. Owners Bill and Eric Ristau are available for prompt consultations and professional recommendations upon your call at 778-344-9598. If you own a log home that requires annual maintenance or professional restoration, be sure to call in the local experts with the experience and knowledge to handle the job. You’ll be glad you did!